Are you raising selfish kids? Most children are egocentric, more so in these modern times. There are ways to get them to see the world beyond themselves. YOU often hear parents complaining about how today’s children are not as obedient, thoughtful and polite as those of previous generations. This is especially true in Generation Y and Z kids, who are also known as “Generation Me”. Generation Y and Z includes those born in the digital age and who have been familiar with using smartphones, the Internet and digital gadgets from a young age. There are varying opinions on when exactly the generation began. Some say those born in the 1980s onwards while others point to the 1990s or even the noughties. Gen Y and Z children have a greater sense of entitlement, demand for instant gratification and generally disregard others’ needs. In simpler terms, they appear to be more selfish than kids in generations before them. It used to be family first, community’s interests, and country’s pride. Now, it is “me” first. 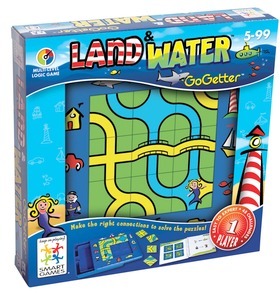 Get this: The GoGetter — Land & Water puzzle will be yours if you come up with the best story on ‘Games/puzzles my kids love to play’ for June. With all manner of advertising being thrown at us these days, it is not surprising that children don’t always know how to separate wants and needs. They seem to think they need a lot of things, with some even believing they have the right to demand for materialistic possessions. Parents who overindulge their children will give them the impression that they are entitled to these luxuries. If a child is selfish in nature, he or she will not know how to care for others and this will eventually lead to social and relationship problems. ParenThots shares some methods to ensure your child sees the world beyond himself or herself. Geronimo Stilton is the Famous Five of the 21st century. The comforting news is that the English in the book series is sound, the stories set in various countries offer lessons in Geography and culture, and at least your kids are reading! Definitely recommended. Childhood Allergies is written simply so that parents can get a clear idea of what allergies are about and what symptoms to look out for. 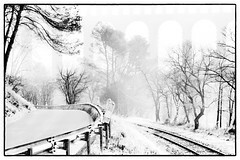 There are quite a few bully stories this week, including one from a man in his 60s who says he still can’t forget what happened when he was six years old as well as a letter to bullies from a former victim. The voting for the best bully stories ends tomorrow. So, do click on Like at the end of the story or on the post about your favourite bully story on the ParenThots Facebook page (facebook.com/parenthots). You can enter to win for your husband, father or even yourself (if you are a father). The prize should go to a father. We will check! The contest closes June 3. If your child loves puzzles and games, you will want to know about the Win A Puzzle promotion. Just write in about the topic of the month (the topic changes every month) and you stand a chance to win a puzzle. There is only one puzzle to be won every month. The puzzles are sponsored by educational toys company BRAINet. For June, the title to write on is “Games/puzzles my kids love to play” and the word limit is 700. The prize for June is the GoGetter – Land & Water. The last day to send in entries is June 20. Go to ParenThots for more details. Rightways: Raising perfect kids, The Tiger mom’s ways!